Picture of the Wales Millennium Centre / Canolfan Mileniwm Cymru in Cardiff Bay. 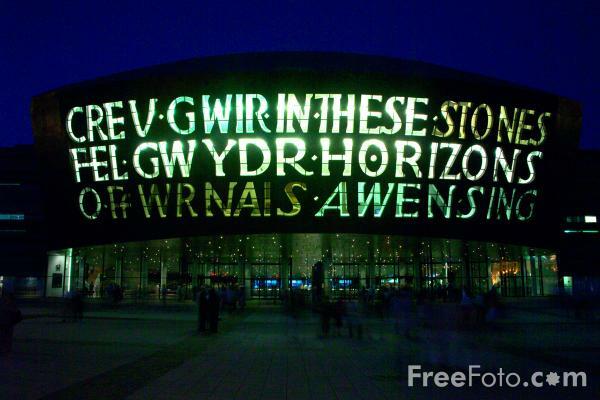 The Wales Millennium Centre features a large inscription cut above the main entrance to the building. The two metre high letters read: Creu Gwir Fel Gwydr O Ffwrnais Awen / In These Stones Horizons Sing. VIEW: More images from the category Cardiff Bay or taken at the same location or around the same time .